Sea. Sun. Smiles. Serenity. Find it all here at Jeeva Klui, the “Soul of Klui.” Our flagship resort is perfectly positioned along an uninterrupted stretch of curving beach overlooking the Indian Ocean. From dramatic sunsets etching the volcanoes of Bali, to the stone and thatch beachfront suites fanned by swaying palms, the natural simplicity of Jeeva Klui’s traditional design and Lombok’s splendid tropical environment evoke the epitome of modern luxury and laid back indulgence. 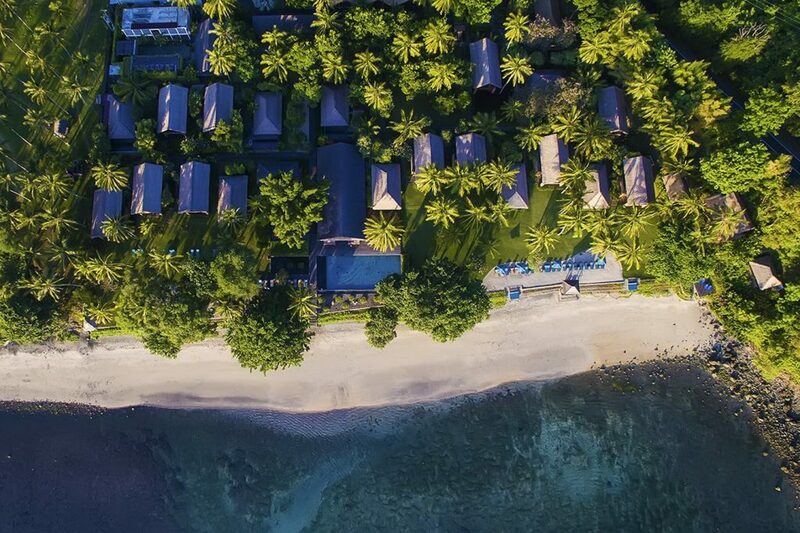 Our dedication to environmental stewardship and support of local communities and culture through responsible tourism is reflected in every aspect of Jeeva Klui, from the use of recycled natural materials throughout the resort, to our standing as one of the only hotels in Lombok that recycles water for use in our gardens. Rooms and grounds are thoughtfully and spaciously designed for intimate luxury ensconced in stunning natural settings. Expect outdoor rain showers, handcrafted design, expansive gardens and much more. We are committed to ensuring the finest guest experience with our exceptional dining and exemplary service, marked by Jeeva’s gracious hospitality. From the moment you arrive, you’ll be immersed in the warmth of the Jeeva Resorts where every aspect is focused on your comfort and well-being. Waroeng’s casual dining attitude reflects shades of a traditional Lombok village long house. Guests may enjoy all meals here, including our complimentary afternoon tea offering a selection of Indonesian snacks and local fruits with your choice of coffee or tea. Or venture over to Pearl’s at Santai and savor cuisine with an emphasis on fresh, local seafood and Indonesian specialities as you gaze at panoramic ocean views from their rooftop deck. Relax. Refresh. Renew. Jeevaniva Spa at Jeeva Klui invites resort guests to restore body, mind and spirit at our intimate oasis located on the headlands at the southern tip of the resort. Wallace is the perfect setting to laze and enjoy a peaceful moment exploring the library of novels, catalogue of DVDs available for in-room viewing, or simply enjoying a cocktail at day’s end. Sun, sand and surf are the main ways to while away your days at Jeeva Klui. We welcome guests to take a dip in the warm surf of the Indian Ocean or to enjoy the privacy of the plunge pools in our Akasha and Amra villas. 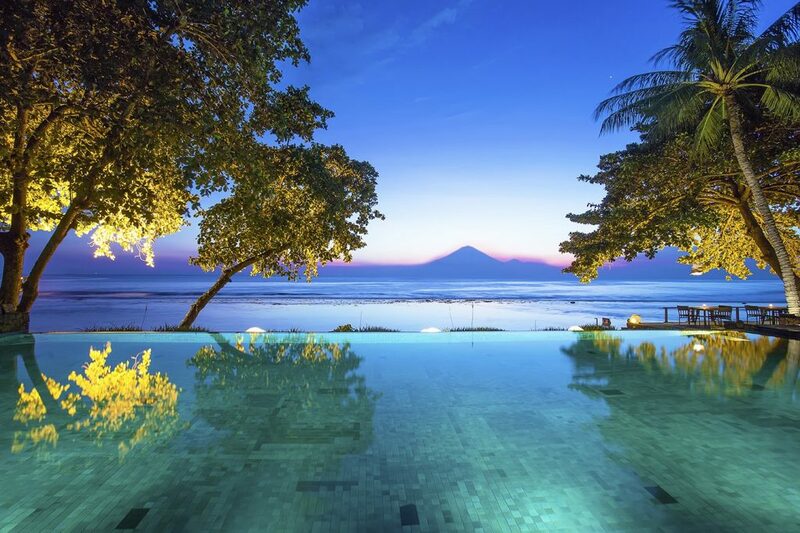 Our luxury infinity pool is a communal place for guests to gather and exchange stories of their time in Indonesia and Lombok, sunbathe on the warm timber deck or take laps for exercise – the pool is nearly 25 meters in length. We also feature a newly opened adults-only pool, as well as a cold pool and sauna, in the spa compound. Our new fitness center is open! With so many outdoor activities, it’s a wonder that guests even want to come inside at the end of the day. However, our luxury resort now offers a boutique fitness center for those who might prefer a more traditional workout, offering a well-equipped mix of cardio and strength training equipment.